When one of our customers with Lymphoedema wrote to us telling us how brilliant My Trusty™ helped her skin, we felt we had to follow this up. After getting in touch, we were told about Harlington Hospice, Middlesex and the fantastic Lymphoedema self-management support group they run every week. 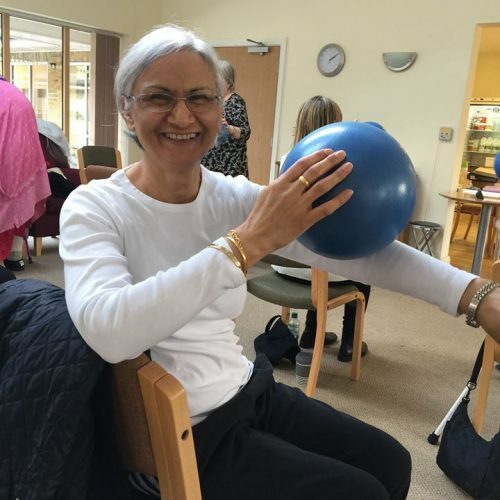 The group is open to everyone, and promotes its Tripudio exercise classes publicly to everyone attending clinic and also to the Macmillan centre at Hillingdon Hospital. Christine West, Therapy and Day Services Lead, explained that the support group is specifically for people with lymphoedema. A crucial part of the management of this condition is skin care, as a lymphoedematous limb is susceptible to cellulitis. From day-to-day working with patients she told us that “most of the prescribed NHS creams do nothing to aid the skin’s natural moisturising qualities, nor do they help with scarring from breast cancer and other surgeries”. She invited the My Trusty™ team to join them at one of their support groups to showcase Salisbury Hospital’s skincare innovation that was developed by its Burns/Plastics skincare specialists. Harlington Hospice started over 30 years ago; it is a community Hospice working throughout the London Borough of Hillingdon. 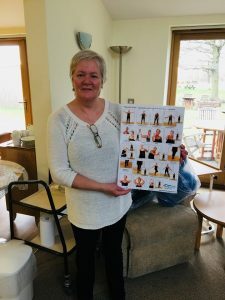 They provide services for patients with life limiting illnesses which includes; complementary therapies, bereavement counselling, and clinics, such as their lymphoedema clinic which includes a weekly Tripudio exercise class. To put it simply, Tripudio is a series of gentle exercises to music, to encourage the movement of lymph throughout the body. It is an effective and fun way to reduce lymphoedema; this is a condition that is usually the result of an accumulation of fluid in the tissues. At Harlington Hospice, they run a class every Tuesday at 1:30pm for their patients that have problems with lymphoedema. Each class is an hour long and begins and ends with a sequence called ‘The Flow’ with six other sequences in between. Each sequence is carefully thought out to increase the flow of lymph and stretch the fascia, which in turn helps to improve mobility.